All RebelBetting products are designed to make your betting experience as easy and profitable as possible. 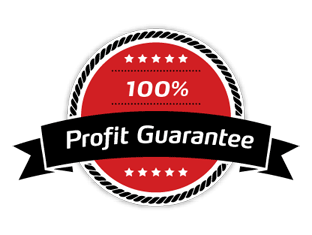 Get a 100% Profit Guarantee on your first month. With RebelBetting Pro you cover all outcomes in a match and make a profit no matter who wins. With ValueBetting you take advantage of overpriced odds that are higher than their true probability. Using the bonus hunting software MatchedBetting you’ll profit from the bookmaker bonuses and free bets. A great way to build your bankroll in the beginning. The Enterprise solution is a custom service that can be tailored to your specific needs. What plan should I select? See how value betting compares to sports arbitrage betting. If your total amount to invest is lower than around €1500, we recommend ValueBetting or RebelBetting Lite. If you need help to choose the perfect plan for you – ask us! We’re happy to help.